Nail Art seems to have made a bit of a come back recently I remember it from about 15 years ago when I first started to get my nails done, I used to spend hours painting patterns on my nails, adding in jem stones, even piecing my nails and hanging ornaments from them (in the days when I didnt type for a living!) It then went very quite and a fresh more natural look took its place. 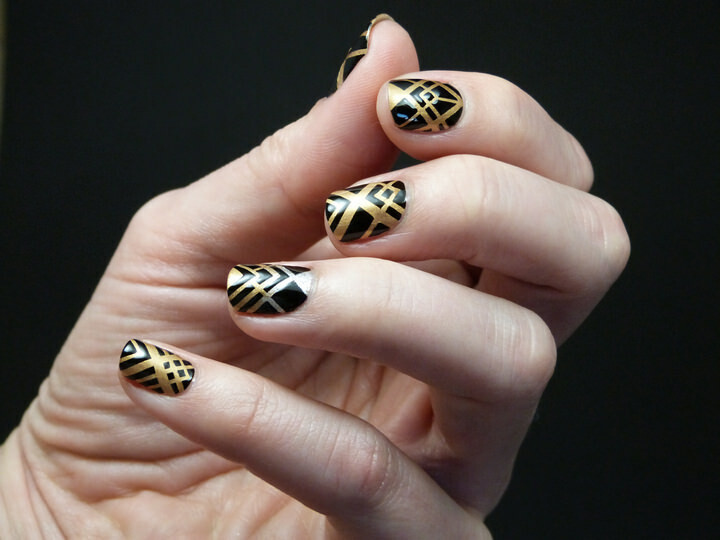 However nail art is back in a big way and this time there are new and improved techniques and a million possibilities. You can take a look at my pinterest nail art board HERE for some more ideas! Today I’d like to share with you this super cute nail art tutorial from Scotch Tape. The tutorial isn’t hard to do, more time-consuming, so make suer you give you self a few hours to get this done! The results will look fantastic! STEP 1) Apply a base coat and leave to dry. STEP 2) Apply a thin coat of white polish (or two depending on opacity) and leave to dry. STEP 3) Prepare some narrow 2mm wide strips of Scotch Magic tape using a sharp pair of scissors. Rest the edge of the strips on the edge of a clean object so that they can be easily picked up later. STEP 4) When the white polish is dry arrange the strips in your chosen pattern on all of the nails. We have chosen to use opposing diagonal lines to create a striking monochrome look. Make sure they are smooth and in full contact with the nail but don’t push on too hard. Use tweezers if you find it too fiddly with your fingers. 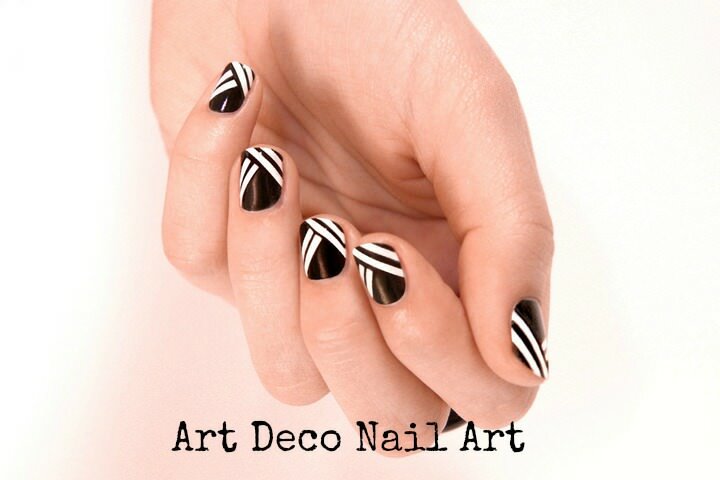 STEP 5) Once the tape is applied, paint one nail in black nail polish – painting over the white undercoat and the tape. STEP 6) While the black polish is still wet, slowly remove the tape on the black nail piece by piece, using tweezers. Have a tissue handy to put the used pieces of tape on to. STEP 7) Repeat steps 6 and 7 for each nail one by one. STEP 8) Leave until touch dry and then apply a top coat. STEP 9) If necessary, you can dip a small makeup brush into acetone and use this to clean up around the nail to create clean smooth lines. STEP 10) Admire the finished look!